Huge defender played better game against Canada than he played against Latvia. Räsänen was left pointless in Finland’s 6-3 victory against Canada but he made himself noticeable with couple of huge hits during the game. Räsänen clearly likes physical game and he is extremely tough to beat in front of the net. However he often goes out of position when he is trying to make more physical play. Also his skating is a big issue. Räsänen is not slow but he is clumsy and both his acceleration and agility still needs huge amount of work as he has a lot of trouble in transitions. His offensive game is also somewhat limited and he occasionally has problems giving good first pass. Räsänen has extremely long reach though and he knows how to use his stick while protecting the puck and he uses it efficiently in checking game. 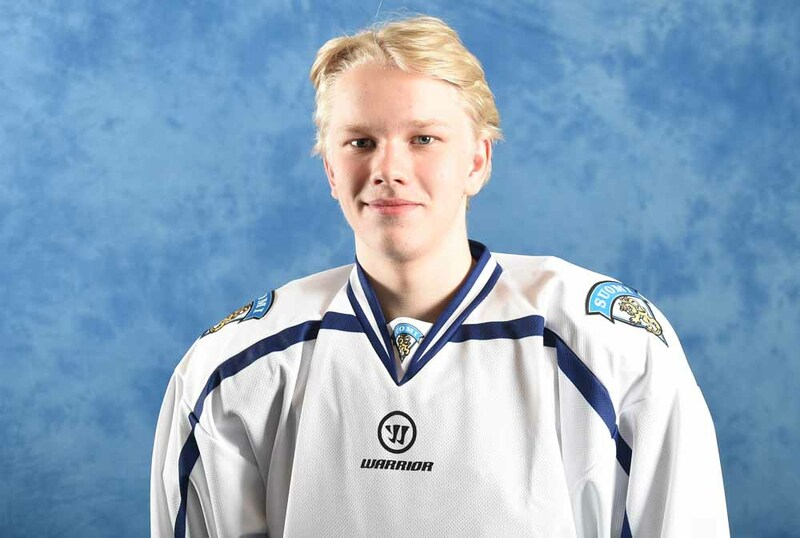 Räsänen is still really raw and he has obvious flaws in his game but some NHL team will draft him because he is combination of size and grit. Räsänen is a hulking defenseman with a bomb of a shot and a good frame to play physical game. He has relatively good hockey IQ and has decent puck-handling skills to make plays and to join rushes from time to time. His skating seems to be a bit clumsy and his first strides can’t be described as explosive, but his top speed is surprisingly good. He has however improved his skating significantly during the last year. He has raw talent that could be realized some day as a good NHL level two-way defenseman, but there is a lot of work to do before that.